Buildings containing "soft stories" may be at risk of collapsing during a major quake. A Los Angeles City Councilman wants to create a list of buildings that could be vulnerable to earthquakes, like an apartment complex that collapsed and killed 16 people during the 1994 Northridge Earthquake. 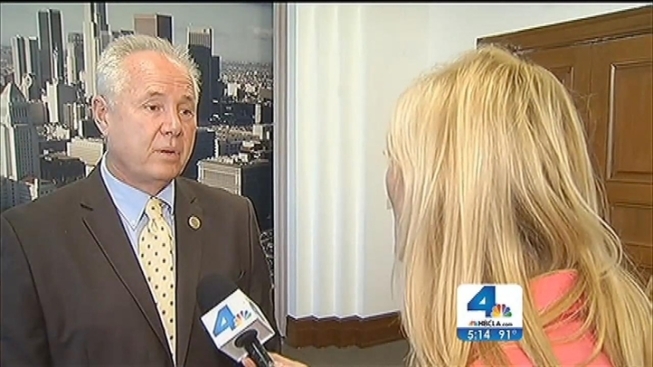 Councilman Tom LaBonge's proposal comes four months after San Francisco passed a similar law. The buildings at issue are ones that contain "soft stories" -- weaker ground floors, often used for parking, that can't support the weight of a shaking building. During the 6.7-magnitude Northridge quake, the "soft story" gave out, causing the Northridge Meadows apartment building's top two floors to drop to the ground below. Of the 57 deaths caused by the earthquake, 16 were caused by the collapse. "There's going to be another earthquake," LaBonge said. "Let's try to be prepared." After San Francisco passed its law, 3,000 apartment owners are now being forced to retrofit buildings taller than two stories that were built before 1978 to strengthen the ground floor. LaBonge said that Los Angeles has many buildings built during that period that would likely need to be strengthened. A list would allow the city to understand how widespread the potential problem is and identify ways to fix it. Apartment owners, however, fear facing retrofitting costs of up to $100,000 per building. Dan Faller, whose Apartment Owners Association represents 20,000 landlords, said the city should pay those costs. San Francisco is allowing apartment owners to raise rents to cover the costs. However, rent control laws in Los Angeles wouldn't allow it. LaBonge said it wasn't clear yet who would foot the bill in Los Angeles, but said the idea deserves consideration from the Planning Commission.